COACHING BY YEAR #5: 1 session/week (50 sessions)–$1795/year: $897.50 in advance. NOTE: Coaching packages include teaching sessions only, but no hard publishing costs. However, Ms. Nelson does extend her wholesale pricing for book covers, interior design, proofreading, editing and other publishing services. 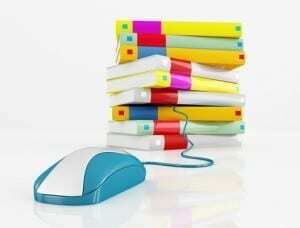 Why Hire a Publishing Consultant? You may be wondering, why should I hire a publishing consultant when I can do-it-myself for free? 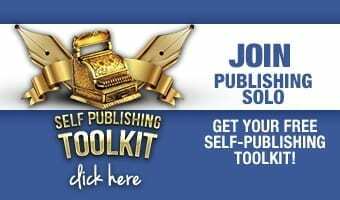 FIRST ANSWER: Do-it-Yourself print on demand is an option for those who want to self-publish their book. SECOND ANSWER: “Free” aint necessarily free! For example, Ms. Nelson hires book cover designers for half of what you are likely to pay. Professional graphic artists charge $400-$1000 for a book cover built to printing specifications required (be sure to get this right). However, the graphic designer you hire may not be an experienced book cover designer, unless you know to insist. A good graphic designer charges $40/ hour, and the project could take up to 20 hours–even if not a specialty book cover designer. Keep in mind, this example portrays only one of 10 aspects of the publishing process. 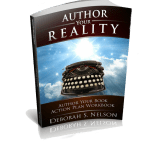 Author Your Book Course & Vision Book Course: Private Course–$795 for 8 sessions. Includes your text, workbook, one copy of your vision book, plus cover, and interior design included ($400 value for precessional book cover and interior design alone!). The Book Blueprint Course: Get your book to proof, proposal, or outline form with this private course–$995 for 10 sessions. 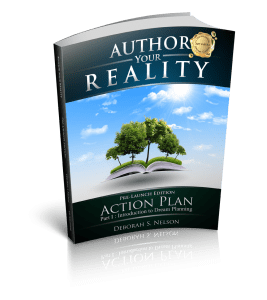 Includes publishing your first book blueprint–two hard copies in proof form—one library copy for coach Deborah S. Nelson. 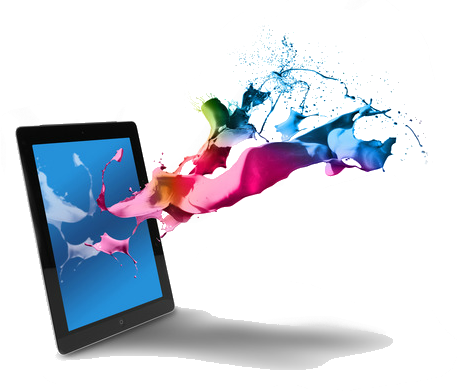 Includes digital file of basic book cover design, interior design (digital file layout to printer specifications) one round of proofreading, (no editing), and full professional and personal guidance through print on demand process. The book cover and interior design are hard costs and are included in courses. Once you accept cover and interior file for submission to be published as a proof, your book blueprint is published. Subsequent and extra rounds of proofreading, editing, or any changes to the digital file are extra charges–since these are hard costs and are paid to cover and interior layout artists. 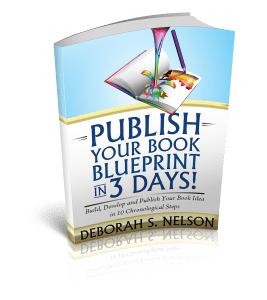 The Book Blueprint is the first phase of publishing a book (usually just a book proposal or basic layout) and is not the final product and is not intended to be perfect, but rather, a professional rough draft. Book Blueprint Retreat: $1490–This course requires a referral or personal invitation. 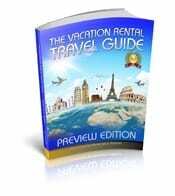 Five nights in the Dominican Republic Ocean Front, plus the book Blueprint Course (above). 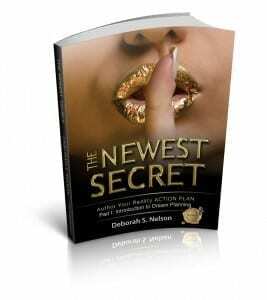 Includes $495 for 5 nights in ocean view penthouse master bedroom guest room in the Dominican Republic with Author/Publisher Deborah S. Nelson. Three sessions per day private consultation to publish (and prepare digital files for) one copy of your book blueprint as described above. Continuing Private Sessions: 1.5 hours weekly or twice monthly in person or via web video conferencing: $38.50 per hour $385. This is only available to those who have taken one course with Ms. Nelson. Author Branding Package: Brand development, social media set up, professional editing, final publishing, promotional writing, promotional book launch support. $995. Private coaching sessions are based on curriculums which help meet a goal. 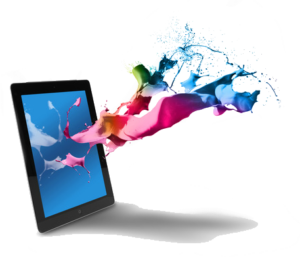 My First Book Course will help you write and publish a full-color hard bound storybook style book using digital publishing. 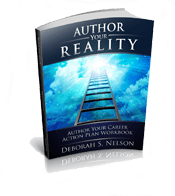 The Book Blueprint Course includes writing coaching, book structuring, and your published book concept to be used as a book proposal to traditional publishers; or as a guideline to publish your book on Amazon Books. After successfully completing a private coaching course, you will qualify for ongoing publishing or writing coaching at the lowest coaching package rate. Payment to be made half down and balance per session by credit card, PayPal or cash. PayPal and credit card an extra 3% fee. Never let money be an issue when it comes to your passion. Payment plans are available.